Welcome to today's edition of Nerd Alert, where we have all the off-beat nerdy news for you in one convenient spot. What do we have on tap for today? Emilia Clarke belts out a reggae tune for the Red Nose Day Game of Thrones musical by Coldplay, Daredevil should be named Batman, a Breaking Bad bar is coming to London, and much more. So sit back, relax, and check out all that today's Nerd Alert has to offer. Dany's reggae song was part of a 12-minute skit called Game of Thrones: The Musical, which was put together by Coldplay and several cast members from the HBO series. 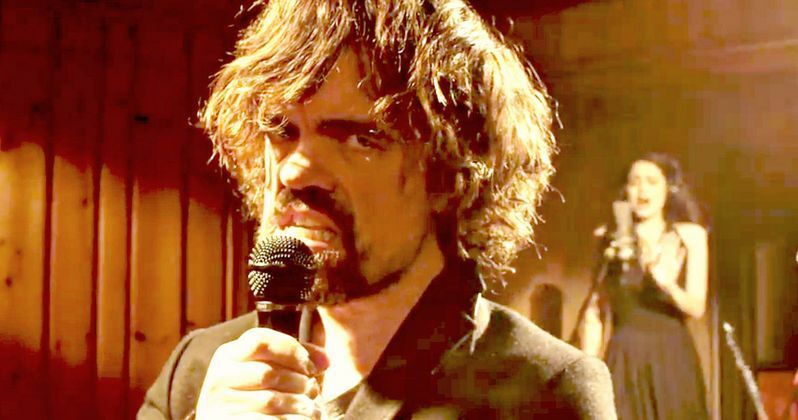 The "musical" also features Peter Dinklage (Tyrion Lannister), Kit Harington (Jon Snow), Iwan Rheon (Ramsay Snow), Nikolaj Coster-Waldau (Jamie Lannister), Thomas Brodie-Sangster (Jojen Reed), Mark Addy (Robert Baratheon), John Bradley (Samwell Tarly), Rose Leslie (Ygritte), Alfie Allen (Theon Greyjoy) and Charlotte Hope (Myranda), and gives fans a much different perspective on the mystical land of Westeros. The folks at Dorkly have put together a brief video that uses hilariously sound logic to explain why Daredevil should be named Batman and Ghost Rider should go by Daredevil. Of course, Batman has been around far longer than Daredevil in the comics, so the point is moot, but the video does make a lot of sense. If you find yourself searching for an excuse to visit London this summer, a Breaking Bad-themed "pop-up bar" entitled ABQLondon will open this July. The bar is literally set up in an RV, where patrons can "cook" their own cocktails for a two-hour visit that will cost 30 pounds. The bar will only be open for three months, for some reason, but there are nearly 22,000 people who have already signed up for tickets. If you live in London, or are planning to visit this summer, check out the official website at ABQLondon.com for more details. In case you didn't watch David Letterman's final broadcast of Late Show with David Letterman on Wednesday night, one of the highlights was his final Top 10, entitled "Things I've Always Wanted to Say to David Letterman." Instead of the late-night legend running down the top 10, a slew of celebrity guests took the stage, revealing what they've always wanted to say to Dave. Alec Baldwin, Barbara Walters, Steve Martin, Jerry Seinfeld, Jim Carrey, Chris Rock, Julia Louis-Dreyfus, Peyton Manning, Tina Fey and Bill Murray all took the stage with hilarious bits to say goodbye the the late-night legend. What If Characters Said What Actors Tweeted? CollegeHumor has put together a humorous animated video that shows how certain scenes from classic movies would be different if the dialogue was replaced by actual tweets from the stars. The video inserts tweets from Russell Crowe into Gladiator, Tom Cruise's tweets into A Few Good Men, Sylvester Stallone's tweets into Rocky, and much more. How Does X-Men's Quicksilver Listen to Music? Because Science with Kyle Hill returns with another question you didn't know you needed the answer to: How does X-Men: Days of Future Past's Quicksilver (Evan Peters) listen to music? During the character's memorable Pentagon scene, Quicksilver is listening to classical music at regular speed, while literally running circles around everyone in the room in the blink of an eye. How is this possible? Beats me, but this Kyle Hill guy seems to know the answer. Just in time for Star Wars: The Force Awakens later this year, Madame Tussauds London is putting together a Star Wars exhibit, with a new behind-the-scenes video showing the painstaking process of crafting these intricate wax figures. These artisans spent a whopping 800 hours putting together the Chewbacca figure, and the statue for Mark Hamill's Luke Skywalker is made of 10,000 separate pieces, all put together by hand. All in all, there will be 11 sets with 16 characters from the first six Star Wars movies at this new exhibit.